“So, d’ya have a boat yourself?” If I had a pound for every time I’ve been asked that since becoming a boat tester I’d have at least twelve pounds by now. It’s a fair question though. Here I am, jetting around the world passing judgement on all and sundry and, technically, I suppose I’m not even a boater. It wasn’t always this way. In my previous life as a yacht broker and aged about 24 I sold a very tidy elderly Fjord 21 to The Nicest Couple In The World. 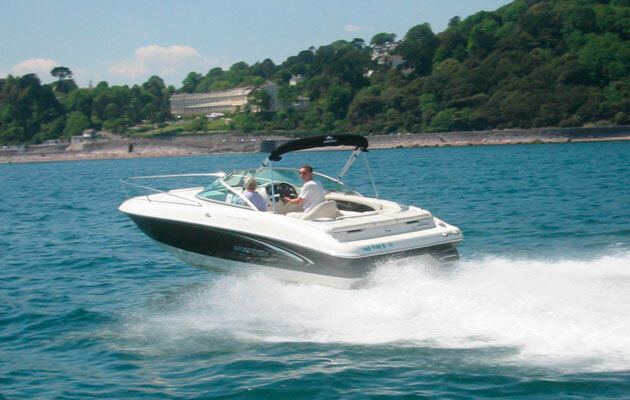 TNCITW (or John and Janet, as they were more often known) had a holiday home in Brixham, knew nothing about boating and wanted to try it. They were pig farmers, and called the boat Hogwash. Because they were so very nice I gave them a lot of help post sale, and also because they were so nice, in return they gave me a spare set of keys and told me to help myself whenever they weren’t using it. So began a perfect boat share partnership. They were lacking experience but not cash and I was the exact opposite. So I managed the boat totally and they financed it. It meant that whenever they came down they were assured that the little craft was cleaned, fuelled, covers off, fridge on, battery charged and ready to go. It was like having a full time skipper taking care in their absence for free. For me it was like having my own boat for free. They had first dibs, I used it when they weren’t, and quite often we’d use it together. It worked brilliantly. A couple of years later Hogwash II (pictured right) replaced it. A stunning two-year-old Princess 266 Riviera with a pair of 4.3-litre V6 petrol engines and stainless steel duoprops, it had a genuine 44 knot top end with a twelve cylinder howl that could curdle milk. I loved that boat and polished it till it shone like glass. It extended our horizons to Poole one way and Plymouth the other, albeit at the expense of rather a lot of unleaded. 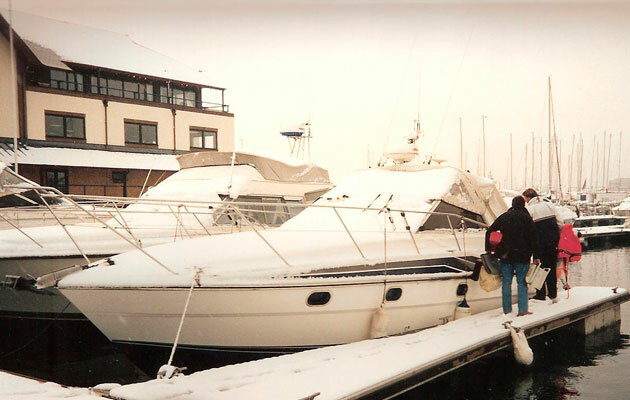 An immaculate Fairline 33 Targa became Hogwash III, (pictured below) sourced from Port Solent and delivered west one bitingly cold winter’s day by John and I, snow still covering the foredeck. Many more adventures followed over subsequent years as well as more expense. John often commented that owning a boat was simultaneously the very best and the very worst thing he’d ever done! Eventually an old truism hit home: those that can afford boats are often far too busy to use them. After a season during which John saw the boat only twice, (the day it was launched pre-season and the day it came out post season, and during which I’d sent him a postcard from Salcombe Harbour addressed from his boat telling him what a lovely time it was having and that it wished he were here) the reluctant decision was taken that it had to go. Whilst the boating partnership dissolved, the friendship didn’t, and John remains one of my closest and most cherished friends. As many of you know, once you’ve owned a boat, even if it is by proxy, the bug has bitten and you’ll never get it out of your system. 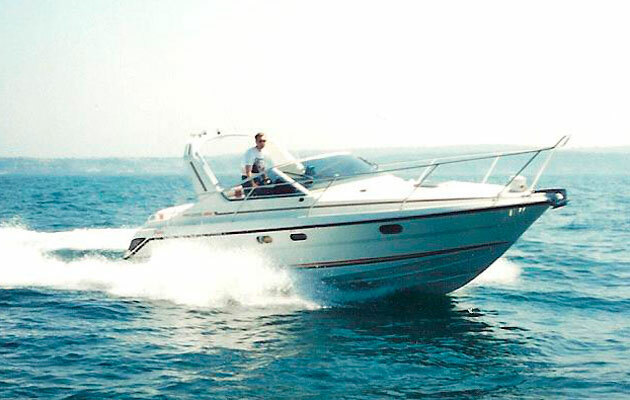 But it was a decade before the planets aligned and a twelve-month-old immaculate Monterey 218LSC came in part exchange at the brokerage I ran. A cuddy cabin sportsboat with a jet black hull and a 220hp V6 Mecruiser engine, it would top 50mph with a clean hull and had my name all over it. I called it Mi Vice II in deference to a Miami Vice obsession that, in part, got a teenage me interested in boats in the first place. (Back in the eighties, lead star Don Johnson personally ran a Wellcraft Scarab identical to the TV series boat, which he called ‘Mi Vice’). And so I was back on the water. I bought the boat in March 2006, a lousy rain sodden April and May followed during which I wondered what the hell I’d done, and then in June it was as though God himself switched on the sun and forgot to turn it back off again. Over seventy hours were clocked racing up and down the glistening coastline between Torquay (where I kept it) and Dartmouth. Through weekends and evenings, with friends and family, my beautiful boat only ever stopped long enough to be lovingly washed, polished and fuelled before heading back out to sea. 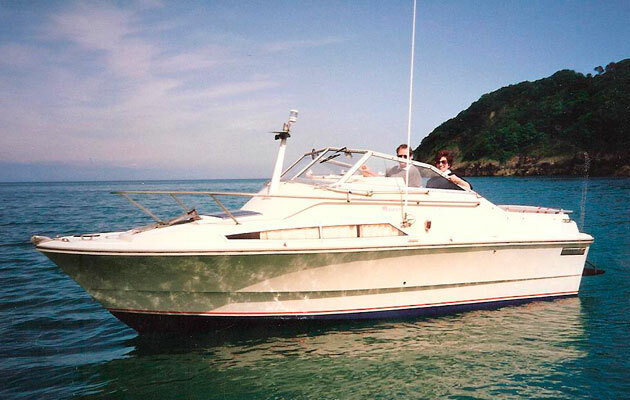 2007 was nearly as good but with the bleak economic winds blowing through the brokerage business I made the painful decision to sell Mi Vice II in 2008, and was made redundant less than 12 months later. But the bug never stops biting, and despite the honour and privilege of regularly driving some of the best boats in the world, there is still nothing that compares with captaining your very own ship. Fairlines and Princesses are, sadly, just a pipe dream. I had idly toyed with the idea of buying a cheap speedboat and towing it, but, with no room at home to park it, buying a berth in a marina would be the only answer. Torquay Marina is first class, but so are the prices. Torquay Harbour sports a council-run and reasonably priced Town Dock Marina, but it was over-subscribed before it even opened and the waiting list is apparently measured in years. And then suddenly, quietly, construction of a new council-run marina began in Torquay’s Inner Harbour. Accessed via a lifting bridge and sill it would lack the ultimate convenience of the outer berths, but maybe lack the fees too. I asked – it did. Six metre berths (my preferred size) were long gone and just four eight-metre berths remained (it was five when I entered the office, the person in front of me snapped one up). This was going to take some serious thinking about. I decided to sleep on it, act in haste – repent at leisure and all that. If the remaining berths went in the meantime I’d chalk it up to fate and forget the whole idea. The next day it still felt like a really good idea. It was now or never – time to carpe diem. I placed a call to helpful harbour master Kevin Mowat and crossed my fingers. So now the hunt is on for the ultimate budget craft. Like a Top Gear challenge played out for real I’ve set myself a budget of ten thousand pounds although I’m hoping to come in well under that. I’m completely aware I’ve put the cart firmly before the horse and I genuinely have no idea whether it is possible to buy anything decent for that price.